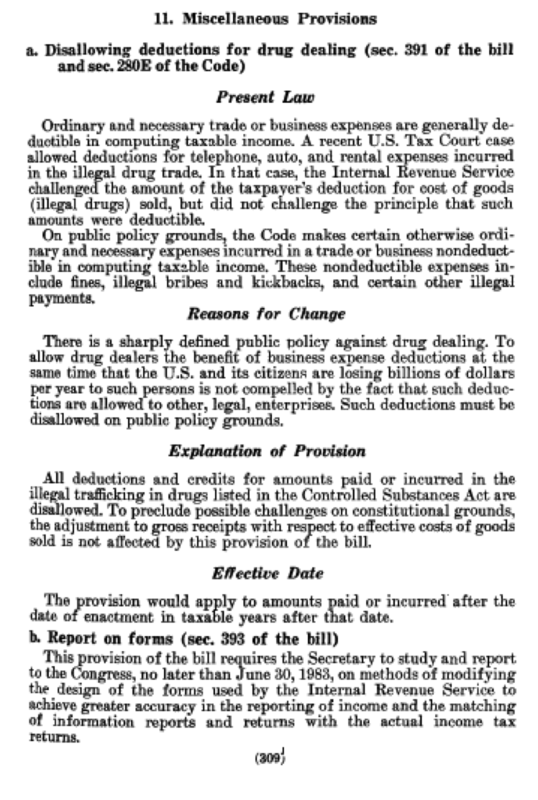 Second, here is legislative history, from the Senate Finance Committee Report, S. Rep. 97-494, downloadable from the huge file at http://www.finance.senate.gov/library/reports/committee/index.cfm?PageNum_rs=16 (volume 1), page 309 [oops! bad link as of 8 February 2018; try this: https://www.finance.senate.gov/imo/media/doc/srpt97-494.pdf]. 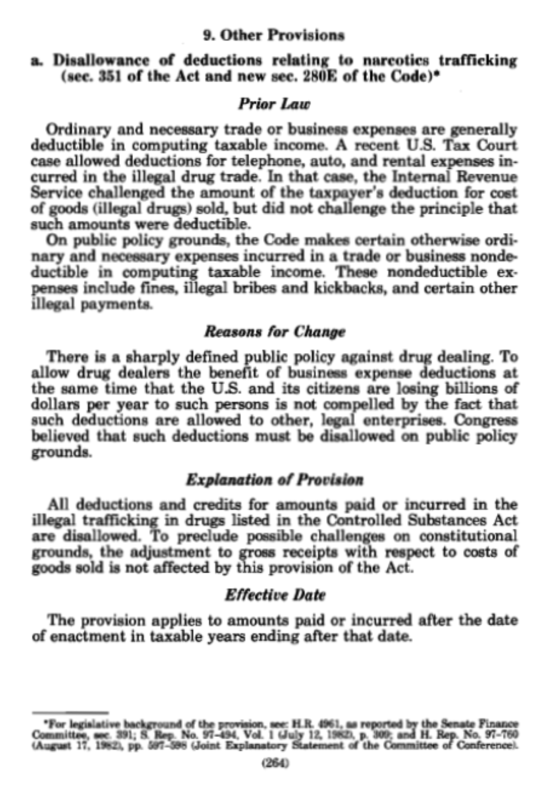 That language is picked up with no meaningful change in the Joint Committee on Taxation’s 1982 Blue Book General Explanation of TEFRA: 1982 blue book. I interpret the so-called constitutional challenge as a red herring, intended to prevent overtaxation when vertical integration is not present – the cascading problem. https://newrevenue.org/2013/03/13/the-secrets-of-280e/#more-1735. Taxing gross receipts without a deduction for cost of goods sold wouldn’t be an income tax, which the Constitution explicit authorizes, but it doesn’t need to be. A national sales tax would be constitutional.